Homemade Herbal Cough Syrup Recipes With Natural Ingredients! We all fall ill once in a while with cough due to allergies, cold or any other condition. But we definitely do not like the sustained coughing that irritates the throat. A cough actually helps to clear the throat from phlegm and other irritants. A cough that lasts for a long period of time could also indicate bacterial or viral infections and Gastroesophageal reflux disease (GERD). Making herbal cough syrups at home can help in supporting the body to fight infection. The combination of herbs also helps in soothing the sore throat, eases the cough, and improves the immune system. Dried herbs are best for preparing a cough syrup recipe. It is known as the best remedy for a sore throat. It can relieve coughs much more effectively than any medicine at the drug store, which are usually cough-suppressants. You can easily make your remedy at home by adding two tablespoons of honey to warm water or herbal tea and add lemon to it. 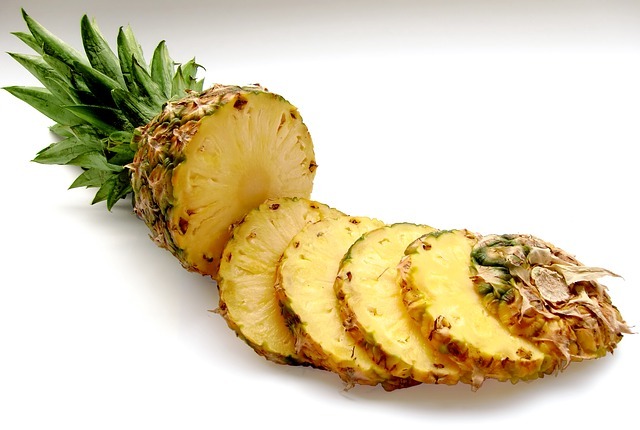 We do not usually hear of pineapple as a cough remedy but Bromelain, an enzyme found in the fruit of pineapples and its stem, helps to suppress coughs and loosen the mucus in your throat. Drinking fresh pineapple juice every day or eating a slice of pineapple can help in treating coughs effectively. They are best-known for their healing properties. The menthol in peppermint helps in soothing the throat and eases congestion by breaking down the mucus. Drinking peppermint tea or inhaling peppermint vapours can help in treating coughs. It is usually used for treating respiratory illness. It has also been shown in a study that extracting the essence from thyme leaves and preparing a cough syrup by mixing it with ivy can help in treating coughs and short-term bronchitis. Take one part wild cherry leaf. ½ part of ginger root and honey to sweeten it. Mix all the herbs and add 2 ounces of it to 1 liter of water. Simmer in heat and get the liquid down to half a liter. Strain the herbs from the boiled liquid and collect the liquid in a pot. Add 1 cup of honey or vegetable glycerine to each half liter of the liquid to sweeten it. Warm the honey and the liquid together to mix it properly. 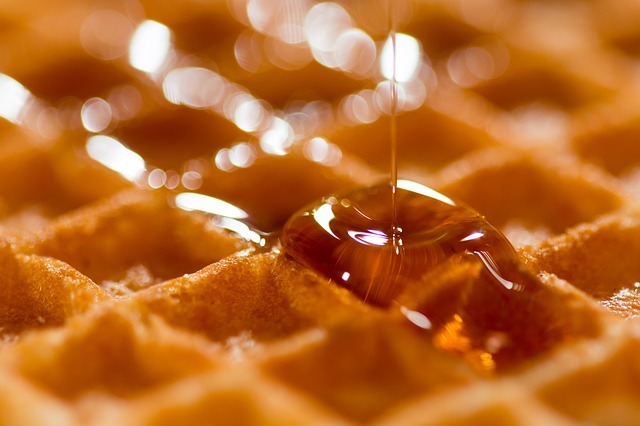 You can thicken the syrup by heating itfor a longer period of time. After the syrup is mixed, add fruit concentrates to give it a flavor if you want to. Peppermint drops or spearmint oil can also be added for the same. Add a bit of brandy to preserve the liquid for a longer period of time. Keep the liquid in the refrigerator, in a glass bottle to prevent it from losing its potency. 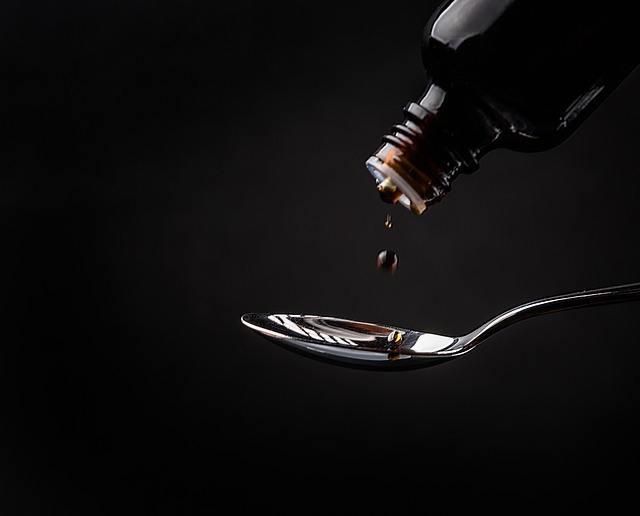 Give 1 tablespoon of the herbal cough syrup to children below 12 years old, 1 tablespoon to adults depending upon the symptoms. This recipe is soothing and easy to make with honey, herbs, and citrus that effectively calms the sore throat and coughing. Take 1 quarter of filtered water. 1/4th cup of ginger root (fresh, powdered or dried). Chamomile flowers -1/4th of a cup. 1/4th cup of marshmallow root. 1/4th cup of lemon juice. Pour the water into a bowl and add the dried herbs to it. Boil the mixture and reduce it to a simmer. Simmer in low heat until the volume reaches to half. Pour the liquid through a fine mesh strainer to remove the herbs. Mix lemon juice to the liquidwhile it is still warm and stir well. Store the liquid in an airtight container in the refrigerator for two months. 1 tablespoon of the liquid can be given to children and 1 tablespoon to adults depending upon the symptoms. A piece of ginger (grated or minced). 1 lemon sliced with peel and seeds removed. ½ to ¾ cup of raw honey. 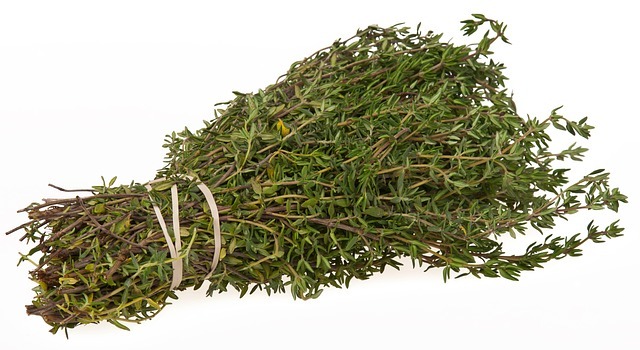 At least six sprigs of fresh thyme, 1 tbsp of dried thyme. Add the 1 cup of water with ginger to a small saucepan and simmer on low heat for 15-20 minutes till the water reduces to half. Mix and mash the lemon and honey together to extract the juices from the lemon. Set this aside. Once the water with ginger is reduced to half, turn off the pot and add dried or fresh thyme to it. Cover the pot and leave it for 5-10 minutes. Strain the ginger, thyme, and the lemon slices if you want to. Take the liquid after straining and put it back in the pot and stir it to mix it well. Pour the syrup in a glass bottle. Store it in the refrigerator for a month or more. Give 1 tablespoon or 1 teaspoon every half an hour to adults or children depending upon the symptoms. Do not give it to children below 1 year of age as they should not consume honey. These recipes are totally natural and very effective too which make them safe for consumption. But if the cough is very frequent and has persisted for a long time or if it is affecting your ability to breathe, you must visit a doctor and get yourself treated. Moreover, due to some underlying condition, coughs may be accompanied by blood. Such situations need emergency medical treatment that can only be offered by an experienced doctor. Infection can also lead to coughing which also requires medical examination and treatment for cure. Mild coughing and sore throats can be treated at home by preparing these cough syrups.